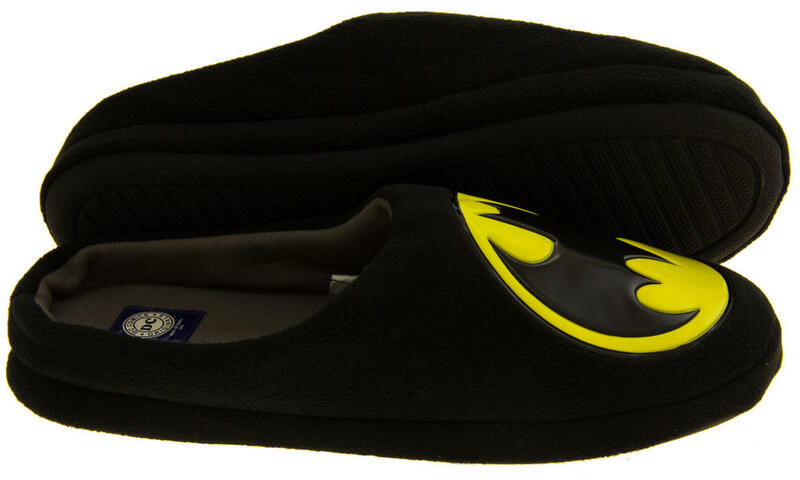 These slippers are designed to keep the feet comfortable and warm. 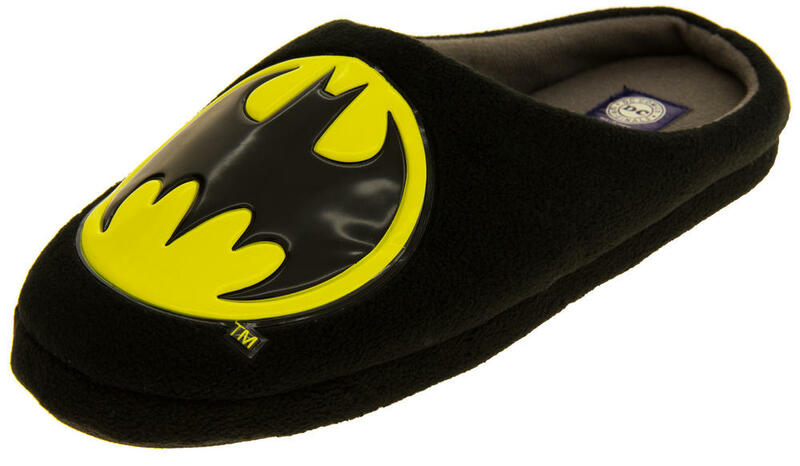 These gorgeous novelty slippers are a perfect present for any occasion. 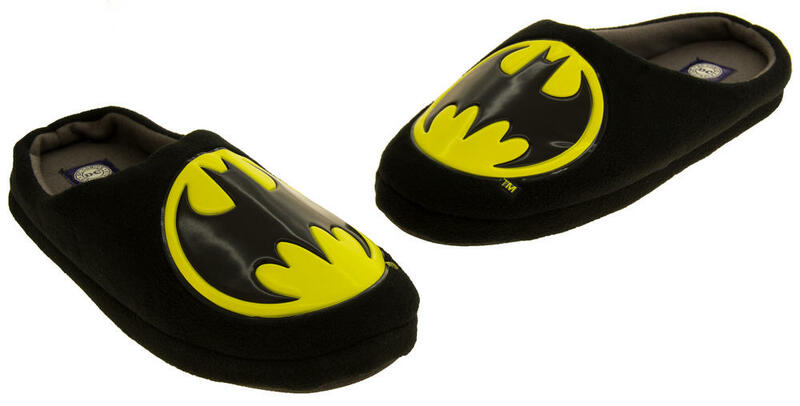 They are a genuine D C Comics design with a 'Batman' logo to the front of the slippers. 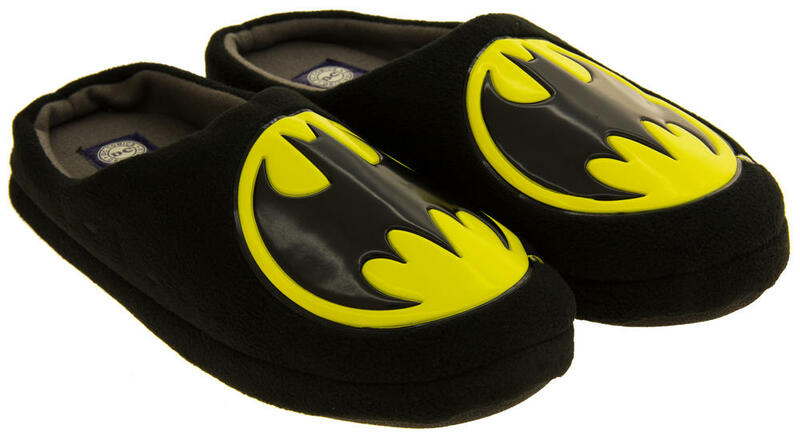 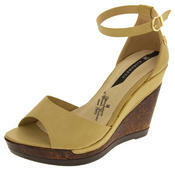 They have a padded insole and an outdoor sole for going out to the bin or the garden.